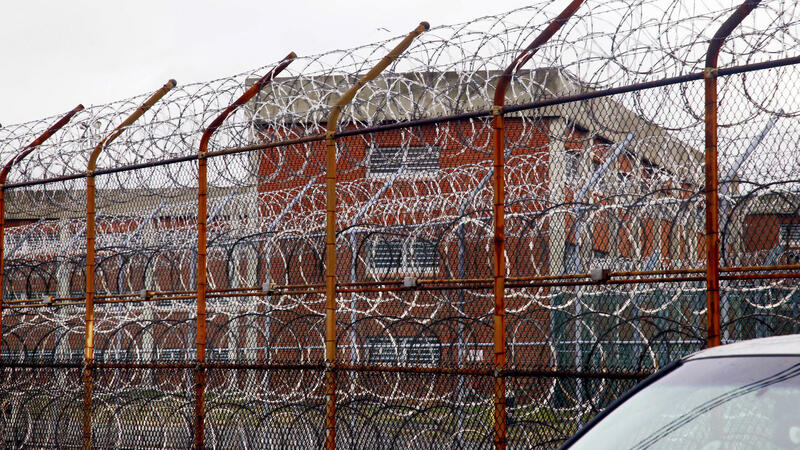 A security fence surrounds the inmate housing on New York's Rikers Island correctional facility in New York. New York City is one step closer, as part of a larger plan, to shutting the doors on the Rikers Island jail complex. On Wednesday, city officials announced an agreement to start a public review process of proposed sites for smaller jails in Manhattan, Brooklyn, the Bronx and Queens. "This agreement marks a huge step forward on our path to closing Rikers Island," said Mayor Bill de Blasio. "In partnership with the City Council, we can now move ahead with creating a borough-based jail system that's smaller, safer and fairer." If you've ever watched a TV crime drama set in New York City, you likely have a passing knowledge of the 10-complex jail facility on the 400-acre island in the East River. However, the nearly 90-year-old facility has drawn attention for its conditions, and a 2017 government report slammed Rikers for its "culture of violence." Late last year the city settled a class action lawsuit with 470 inmates who said they were illegally put in solitary confinement. Mayor de Blasio had originally proposed overhauling Rikers, but early last year decided to support a plan to replace it. Still, his 10-year timeline may not be fast enough for some. The New York Times reported Wednesday on a scathing new report from the state's Commission of Correction, which criticizes the decade-long timeline, and says the panel will "examine steps to expeditiously close Rikers and to ensure that the constitutional rights of inmates and staff are protected." There are currently about 10,000 inmates at the Rikers Island jail complex, most of them waiting for trial.